If you have seen my recent statuses (or stati?) and posted items on Facebook, you are well aware of where I stand in light of this bailout plan. I am agianst it. I think it is not wise. It is a fast “solution” to a problem that has develpoed over a long period of time, almost a decade. First off, give me one good example of a time when a decade of decay was completely resolved and fixed in one week’s time. This is not possible. I fear that after this “bail out,” Congress will go back to their old ways. The will sign this bill and mark it off their TTD list. They will go back to continue spending money they don’t have. Continue adding more tax money to their salary. Second off, why are we putting so much hope in Congress!? They are the ones who put us in the hole and now we are asking them to solve the problem? NO. That is stupid! They have motives for their own benefit, they obviously are not representing us the people. If they were really representing us, we would not have been in the hole the first place! We need to elect people who have our agenda, force Congress to think through a solution that will actually work and give them TIME to do it, or allow a third party group to clean up the Congress. Section A. It is a temporary fix. It is only addressing the smptoms of a bad economy and is not actually dealing with the fundamental economic issues that are really at hand and the root of all our problems. Section B. The bail out, it more of a benifit to Wall Street and NOT a benifit to home owners. Agian, Congress have their own motives. They look good for “fixing” something from a national perspective, but really the members of their individual respective states are suffering. The home owners are still losing. Debt and finaincial crisis is still there and it is not going away. Section C. Look at their soluion….they want more of our tax money. They are not sacrificing anything. They are getting more pork. They are still very secure as Congressmen. They are porking it up….porking up our tax money to fix a problem they created! I hate this! Fourthly, I hate this becuase my generation is left victim. I am going to be paying for the mistakes of these white head old men long after tehy are dead and gone. Their solution demands my sacrifice but not thiers. They will rot and die and I will still be giving them money. why are conservatives upset about Evangelist manifesto? I don’t get it. I think that the manifesto is great and even if people are not signing it, we can at least reflect on and work with some of the ideas pointed out in the document and critic our own faith system. Tiger Woods plays 91 holes and now he is OUT for the rest of the season again! He went agianst what the doctor told him and played…I mean WON the U.S. Open in extra holes. That man is ridiculous! He was not his full self. He was hurt, he was slow, he had to use every once of his strenght to get through the rounds, yet he still was competitive, yet he still won. 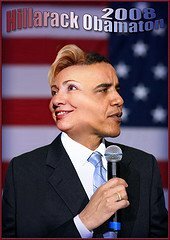 A little over ten days ago, Hilary surrendered and endorsed Obama for the democratic nomination for the 2008 election for Presidency. Obama and crew wisely pushed the question aside and said it would be best to think it over, let time pass and the storm to weather over before making such an important decision. One issue with this whole concept is that VPs have and always will be chosen at the Conventions…it is too early for a final decision and you are not going to get one. 1. 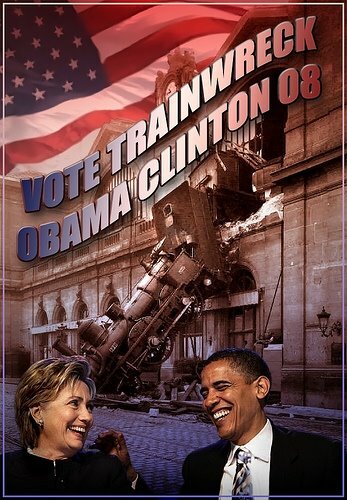 Obama is not going to want 2 1st on the same ticket, too risky. 3. 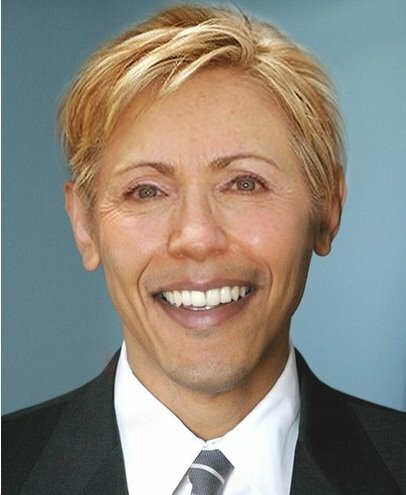 Obama does not need Hillary to get Hillary’s voters. So recently that has been a lot of talk about installing instant replay in baseball, the great American sport! Are you kidding me? that is ridiculous! Baseball is already slow enough! If you add in instant replay then it will take longer. Instant replay will also be a negative because fans will take over the game….if you give the fans a chance to scrutinize every single call, the games will take days. The reason NFL replay works is b/c the game is so fast, no one has time to complain about the small little mistakes that take place and are okay. The fans only want to see that one or maybe two plays per game that will make or break the game. In baseball, the game is SO SLOW that fans will scrutinize and challenge/review/ replay EVERY single error, call, mistake. Was he safe? was that a strike? Is that REALLY a foul ball, how did the empire miss that call REPLAY! REPLAY! REPLAY! It will be TOO MUCH. Don’t do it! You will lose average fans like me. This is shocking and disturbing! It happened in Maryland- America for crying out loud! Way too much apathy from on-lookers. I can’t believe this! years in a Catholic school. influence over his son’s education. into office he DID NOT use the Holy Bible, but instead the Koran. through the President of the United States, one of their own!!!! Obama has been in the news a lot recently regarding religion. Clinton’s camp and some extreme Republican camps have came out and tried to say that he is/was a Muslim. His middle name is Hussein, this should be a non-issue but some people have radical opinions about this. Obama is actually a Christian and has been promoting this clearly lately. He is a Christian, but should a Christian vote for him? I told him I understood his position but had to disagree with it. I explained my belief that few women made the decision to terminate a pregnancy casually; that any pregnant woman felt the full force of the moral issues involved when making that decision; that I feared a ban on abortion would force women to seek unsafe abortions, as they had once done in this country. I suggested that perhaps we could agree on ways to reduce the number of women who felt the need to have abortions in the first place. “I will pray for you,” the protester said. “I pray that you have a change of heart.” Neither my mind nor my heart changed that day, nor did they in the days to come. But that night, before I went to bed, I said a prayer of my own-that I might extend the same presumption of good faith to others that had been extended to me. Finally if that were not enough Obama has got a lot of attention due to good ole Reverend Wright.